Say Wakanda to a moviegoer, and they immediately know what you mean: the fictitious land in Black Panther, the recently released Marvel blockbuster that is taking the world by storm. But Wakanda also is a place where moviegoers cn see the future of high-speed travel. In the movie, Wakanda’s technological advancement far outpaces the rest of the world due to the availability of vibranium. Vibranium, a metal unlike any other, powers all of Wakanda, heals the injured and everything in between. Its utility is unlike any other metal, making it a highly coveted and sought-after resource. And, vibranium is a key to the transportation advances featured throughout Black Panther. The trains are known as Maglev—short for magnetic levitation. There are three in operation, in Japan, China and South Korea. When automakers look at the future, the only thing they can say for certain is that there’s no certainty. But if Ford Executive Chairman Bill Ford Jr. is to be believed, his company isn’t even going to be that specific. On Halloween, Ford talked to reporters after a speech to the Economic Club of Detroit. And, according to Bloomberg, here’s what he said. However, something else happened out west that was a little more transparent. Waymo, the self-driving car division of Alphabet (parent company of Google), invited a select group of automotive and technology journalists to Castile, a former U.S. Air Force base in California that the company has been using since 2012. There, the journalists were allowed to ride in a self-driving Chrysler Pacifica. Verge said the event marked a shift for the previously tight-lipped company, which hasn’t given out much information about how it has been conducting its autonomous testing. As Verge reported. 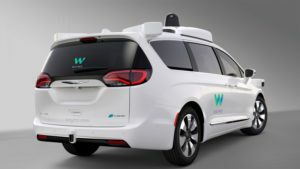 Waymo is intent on showing that its test cars are able to handle the complicated, complex, and increasingly dangerous task of navigating a two-ton machine on public roads. Not only that, but they can do it more efficiently than humans. Waymo appears to be moving toward making the flesh-and-blood driver obsolete. To be sure, both companies have good reasons for the positions they’ve taken. Ford has been punished by Wall Street and investors ever since it began talking about becoming a mobility company, rather than one that primarily sells cars and trucks. After its new CEO Jim Hackett spoke with analysts in October, a number complained that he did not give them enough details. Two analysts cut their ratings on Ford stock. Only five analysts recommend buying the shares, while 19 tracked by Bloomberg rated them a hold and two advised selling. That’s the kind of thing that makes corporate boards panic, unless those boards are firmly behind the direction that the company is taking. So, it’s easy to understand why Bill Ford would rather close the blinds. A great big sea change is headed for the car companies, in terms of the vehicles they produce and the people who buy them — or don’t own them, but simply drive them when they need them. As much as the automakers might be tempted to pull their collective comforters over their heads and pretend none of this is happening, they can’t. There’s a great example in what happened in the market for hybrid-electric vehicles. When the Toyota Prius went on sale in Japan and subsequently the United States, it was dismissed as a toy, the same way that Tesla’s vehicles initially were dismissed as playthings for the rich. But, Prius sales grew incrementally, then gained popular acceptance, and now global sales of Toyota hybrids are closing in on 10 million vehicles worldwide. The Prius is so ubiquitous that hardly anyone gives it a second glance any more. All those fears that its batteries might die and strand motorists were essentially for naught. By the time Detroit automakers realized that hybrids could actually appeal to customers, it was too late. To consumers, there was one hybrid, and it was the Prius. That’s what could happen with self-driving vehicles, too. It’s still early, and all manner of regulations, local and federal, are going to be needed before they become as unremarkable as the Prius is now. However, to be part of the conversation, about self-driving cars, electric vehicles or anything else, a car company has to actually speak up. Journalists have space in newspapers, time on broadcasts, and pages on the Web to fill. If there’s a company talking about the future, and one that isn’t, you can guess which one will get the most prominent mention. “The key is providing clarity when we’re ready so that investors can make an informed decision,” Bill Ford told reporters. But, his “ready” might be much different than investors’ “ready” or consumers’ “ready.” The best strategy is to just keep talking, and keep guiding customers to the future. Otherwise, they might get there without you. Until this year, Tesla’s electric vehicles have largely been seen as toys for the wealthy and early adoptees. The Model 3 was supposed to change all that. 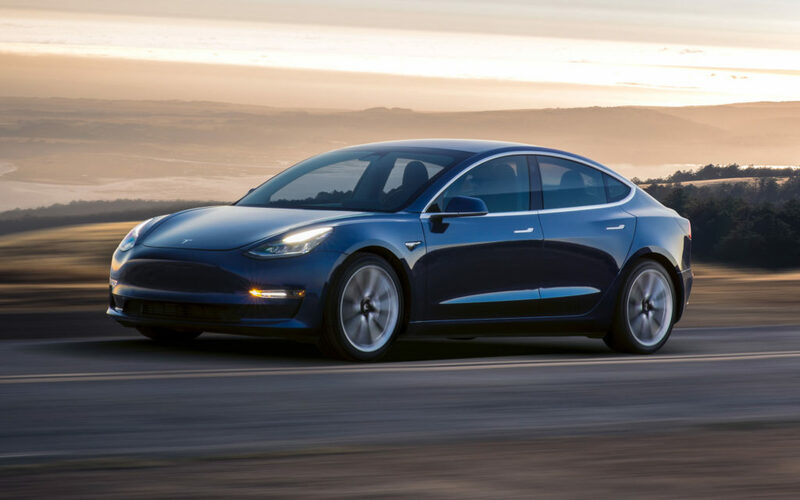 Model 3 is the first mass market Tesla, selling for about $35,000. Tesla already has about 435,000 orders, and if you raise your hand today, you can expect to wait until the middle of next year to receive it. Or maybe longer. That’s Tesla’s big problem. It can’t get the Model 3 out the door of its factory in Fremont, Calif. And that threatens not only Tesla’s reputation, but the future of electric vehicles in general. Because of its unique market niche, Tesla has always gotten away with things for which other car companies would not get a pass. For one thing, Wall Street has been charmed by its eclectic founder, Elon Musk. His company appearances and quarterly earnings cars are followed with the cult-like response that greeted Apple and Microsoft through the years. Its market capitalization swelled beyond anything that was supported by its sales performance, vaulting its value past General Motors. To be sure, Tesla Model S, its $70,000 sedan, has received strong reviews and has a small, but rabid customer base. Model S heralded good things for Model 3. That makes its current dilemma even more stark. Model 3. Tesla has been honest about its production problems. It told analysts to expect “production hell’ during the first six months of production. 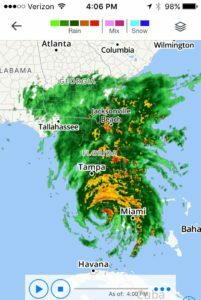 How Hurricane Irma looked on Sunday afternoon. This will be a hurricane season that residents of Texas and Florida will long remember. Just as Houston began the long process of cleaning up from Hurricane Harvey, Miami and cities on Florida’s west coast were hit full force this weekend by Hurricane Irma. And no one can yet relax. Hurricane Jose is still on the way. In each case, citizens had plenty of advance notice if they wanted to leave. They were told that massive flooding was possible, and that strong winds could do serious damage. And, in each case, the storms revealed a variety of transportation vulnerabilities, from the air to the roads to the rails (or lack of them). Authorities could tell people to go, but they couldn’t make it quick or easy for them to evacuate. All weekend, there were complaints on social media that gas was scarce for evacuees in Florida, in part because of shortages caused by Harvey. There have been numerous stories about the number of cars that will have to be declared totaled in Houston due to water damage, with 100,000 insurance claims already filed, and estimates of as many as 1 million lost. Donate — or go eat! We just want to remind you that the Curbing Cars Newsletter is taking Labor Day off. We’ll be back next week. In the meantime, we have a request. Hurricane Harvey has left a mess in its wake. There are fundraisers and collections going on all over the country. This will be a problem for a long, long time. There are estimates that between 500,000 and 1 million cars will have to be scrapped. Already, 100,000 people have filed claims with their auto insurers. So, if you see something that appeals to you, please attend, or make a donation to help those in need in Houston. 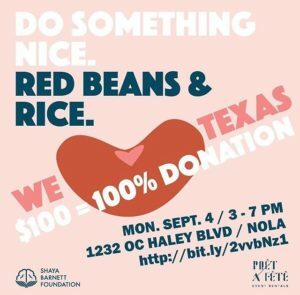 Our friend Chef Alon Shaya is hosting a fundraiser in New Orleans on Monday. The menu includes red beans and rice, which everyone in New Orleans eats on Mondays. There will be music, and beer, and other drinks, and a lot of good cheer. Every penny of your donation (minus the ticket fee) is going to help Harvey victims. Even if you can’t attend, think about making a donation to his foundation. Look Up In The Sky! Can Gondolas Solve NYC’s Transit Problems? This summer has been coined the ‘summer of hell’ by New York Gov. Andrew Cuomo, due to the Amtrak shutdown at Penn Station for repairs, and delays which have skyrocketed this year on subway lines. While the city has increased bike lane construction and has expressed interest in Chariot, a crowd-funded bus service, getting millions of people where they need to go is no easy task. But, one prominent realtor has proposed a unique solution: aerial mass transit. Daniel Levy, the president of City Realty, thinks a high speed gondola system might solve some of the city’s transportation woes. The idea is in discussion now as New York faces the 2019 shut down of the L train, which carries 300,000 people a day between Manhattan and the Williamsburg Bridge Plaza Bus Terminal in Brooklyn and Delancey Street on Manhattan’s Lower East Side. Save for surface transportation, there are few options for moving these passengers about. While on a ski trip, Levy took an interest in the gondolas that bring skiers to the top of the mountain and thought the same system might help his city. 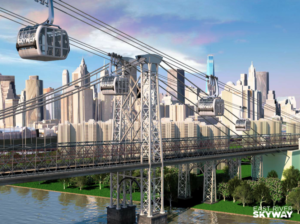 He founded the East River Skyway company, which is pushing for the construction of a gondola near the Williamsburg Bridge between Brooklyn and Manhattan. Manhattan has a tram system that runs to Roosevelt Island, the closest thing to what Levy is proposing. Gondolas are capable of moving 5,000 to 6,000 people an hour, and have been built in many cities, including La Paz Bolivia, Caracas, Venezuela, Cali, Colombia, among others. Per mile, subways can cost around $400 million, light rail $36 million, but gondolas only cost $3 million to $12. Comments Off on Look Up In The Sky! Can Gondolas Solve NYC’s Transit Problems? Classic Cars May Be Gorgeous, But Millennials Don’t Care. Will They Become Orphans? Mustang Row at the Woodward Dream Cruise. Photo by David Guralnick of the Detroit News, shared on Twitter. Across the United States, it’s car show season. 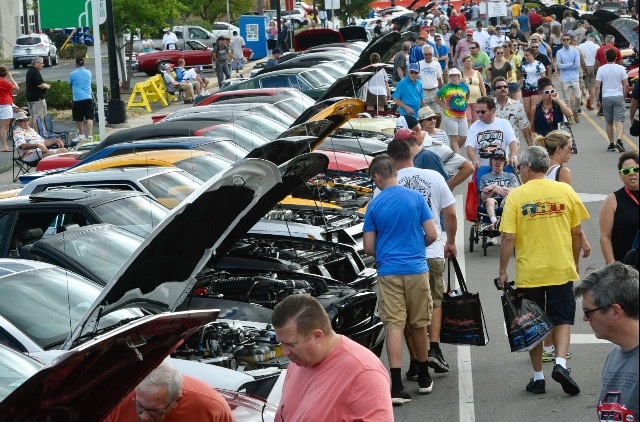 This past week, as many as a million spectators crowded Woodward Avenue north of Detroit, for the annual Woodward Dream Cruise. In Pebble Beach, California, ultra-expensive collector cars were on display at the annual Pebble Beach Concours d’Elegance. And, there have been less-extravagant car shows of many sizes in towns around the country — if those car shows weren’t canceled due to the expense, the weather, lack of interest or someone to organize it. As much as many people love classic cars, there’s a growing concern among the owners of this rolling architecture that nobody will want to take care of the iron that they’ve so lovingly maintained. Even as the elite gathered out west, Fortune Magazine reported that auction estimates at Pebble Beach fell 14 percent, to $290 million. It’s the third straight year in which Pebble Beach auction figures have dropped. The fear about the future of classic cars also shows up in data from Hagerty, which tracks collector car values for insurance purposes. Their website is a gold mine of information about the value of and future trends in vintage cars. Right now, there’s a definite reason to worry. Hagerty’s monthly index of collector car values stood at 64.86 in August, falling for the sixth time this year. Comments Off on Classic Cars May Be Gorgeous, But Millennials Don’t Care. Will They Become Orphans? Curbing Cars readers: we’d like your insight. We’d love to know how you’re getting around and how you plan to get around in the future. How old is your car? What’s the approximate mileage? Is this the longest you’ve ever kept a vehicle? Have you downsized the number of vehicles in your family fleet? Or, are you adding vehicles? Would you consider an electric vehicle or hybrid for your next vehicle? What would convince you to buy one? How about an autonomous vehicle? And, do you think you could get along without a vehicle all together? We’ll publish the best responses in a future story, so please make sure we have the correct spelling of your name and your hometown. Click the link above to hear Episode Three of the Curbing Cars Podcast, co-hosted by Executive Editor Micheline Maynard and our intern, Colin Beresford. Can’t play it above? Click here to listen. And, listen to the previous episode here. In this episode, Micki and Colin go to the Robert H. Lurie Engineering Center at the University of Michigan, which will be a stop on the new driverless shuttle that begins operating in just a few weeks. We also talk about the growing backlash against bike lanes, despite the growing use of bikes by urban commuters. And, we discuss the latest in the continuing chaos in public transportation. Curbing Cars is dedicated to bringing you information about the future of transportation across many different platforms. Our podcast is a regular feature. Find it here, on SoundCloud and soon on iTunes. Car-sharing Is On The Rise, But How Will It Affect Auto Sales? Car-sharing is growing, led by companies like Turo. Cars were once seen as a symbol of freedom. But as real estate prices rise, and millennials face student loan burdens, some see them as a burden. Their owners are saddled with a costly, often unused piece of machinery, not really necessary for everyday life. In comes collaborative car consumption, which addresses the profound cultural shift in how transportation is viewed. Collaborative car consumption, also known as car-sharing, takes many forms and has been the cornerstone of many recent car-based start-ups, from well-known Hertz to lesser-known Turo. Collaborative consumption is the shared use of a good or service, and in this case, that good is a car. There are three types of collaborative consumption, according to Future of Car Sharing, which tracks the model. They are peer to peer, where individual car owners rent their cars; business to consumer, where a business owns the cars and facilitates their use to members; and not-for-profit, where a community group owns cars and facilitates their use. 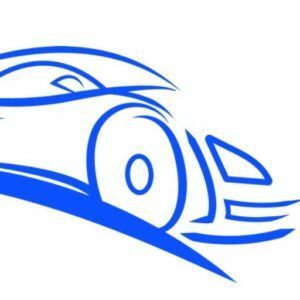 Peer to peer companies include Turo and Getaround. 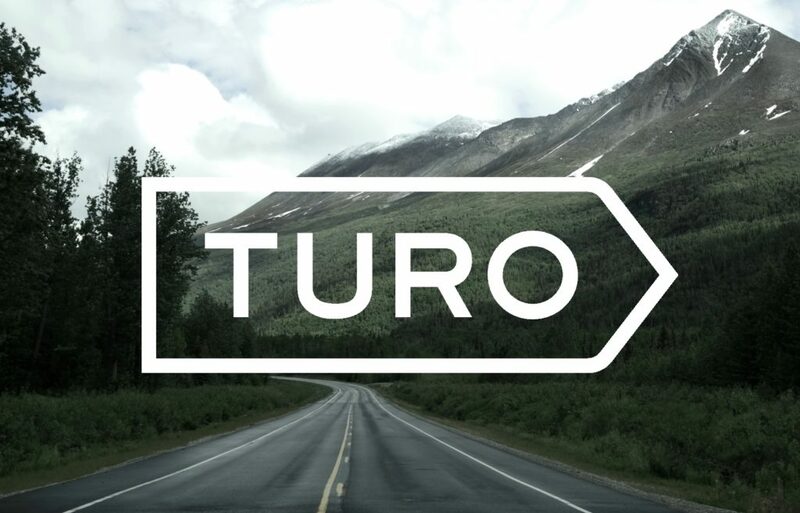 Through Turo, a car-owner lists their car on the company’s database as available for rent, according to the Turo website. From there, anyone who needs a car can rent one, meeting up with the owner at a specified location. In New York City, cars listed on Turo can be rented from $40 per day to more than $250 per day. The business to consumer model is includes companies such as Hertz, Enterprise and Zipcar. These companies own the fleet of cars they rent to consumers and are the most popular form of collaborative consumption. Not-for-profit collaborative car consumption companies prioritize car-sharing with the goal of changing driving habits over profit. Many cities across the country have programs that allow users to rent cars from the city owned program, often by the hour. Comments Off on Car-sharing Is On The Rise, But How Will It Affect Auto Sales?